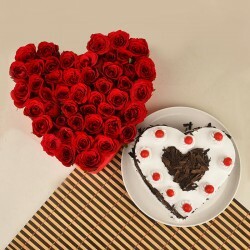 Wish to surprise someone special with Valentine gifts in Ghaziabad but you are too far off to plan anything? 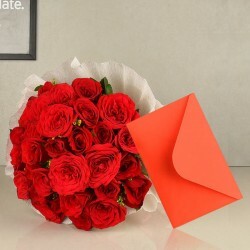 Now, make instant Valentine gift delivery to Ghaziabad and delight your special one despite being miles away. Known as the ‘Gateway to UP’, Ghaziabad is a part of the Nation Capital region of Delhi and is a planned industrial city. With famous places in the city like ISKCON Temple, Swarna Jayanti Park, Laxmi Narayan Temple, the city definitely has immense charm to hold. Caught in the hustle and bustle of life, it often becomes difficult to visit your dear ones residing in the city. If you have someone living in the beautiful city of Ghaziabad and you wish to make them feel special, it’s time to surprise them with gifts in Ghaziabad during Valentine’s Day. With the season of love around the corner, there couldn’t be a better occasion to send gifts to Ghaziabad and curb the distance between you and your loved ones. When it comes to sending Valentine gifts online to Ghaziabad, make sure you do the same from #1 online gift portal, MyFlowerTree. 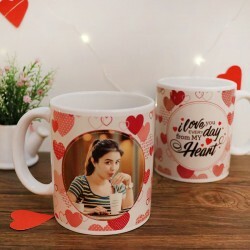 We have the greatest collection of best Valentine gifts online that are unique, thoughtful and expressive. 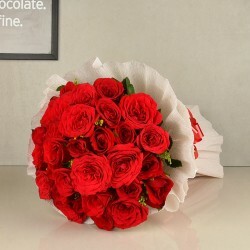 Whether you are looking for Valentine flowers like roses, carnations, lilies, orchids and so forth, we assure you of the most beautifully crafted Valentine flowers for delivery to Ghaziabad. 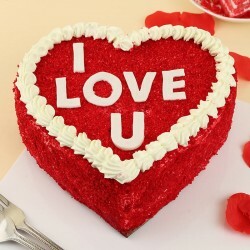 We also have a range of delicious Valentine cakes for sending to Ghaziabad online. To list a few from the countless flavors and cake types, we have Valentine red velvet, vanilla, black forest, butterscotch, coffee, fruit, chocolate and so forth. 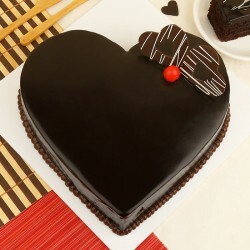 These cakes are available in various shapes like square cakes, heart shaped Valentine cakes, tier cakes. 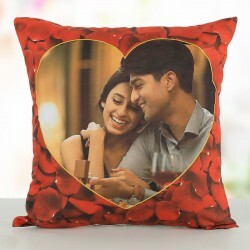 Also, our endless assortment of unique Valentine gifts online consists of cushions, mugs, indoor plants, chocolates, jewellery, perfumes and so forth. You can also customize your gifts with a picture or personal quote and send heartfelt gift to Ghaziabad. Our range of personalized Valentine gifts include digitally designed cushions, customized mugs, “I Love You” chocolates, photo cakes etc. Your job doesn’t end at just picking the right Valentine gift online, it is important to send your Valentine gift to Ghaziabad on time. 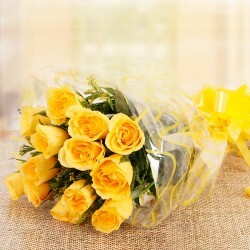 You can trust MyFlowerTree for instant delivery of Valentine gifts to Ghaziabad. 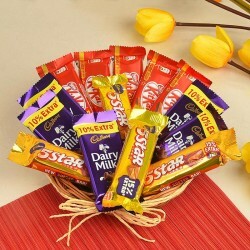 We also provide fast Valentine gift delivery to Delhi, Manesar, Noida, Faridabad and regions around Ghaziabad. We also have same day delivery of gifts to Ghaziabad if you have made last minute plans and there’s hardly any time left for making preparations. Trust on MyFlowerTree to have you covered and make your last minute Valentine gifts heartfelt and unique. Not just this, we also have midnight gift delivery in Ghaziabad if you wish to go an extra mile and wish to surprise your dear one at the stroke of midnight. With MyFlowerTree, you need not worry about the budget as we make sure our gifts are budget expressive and of best quality. 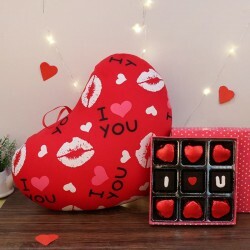 Whether you are looking for Valentine gifts for girlfriend or boyfriend, find unique Valentine gifts for online delivery to Ghaziabad with MyFlowerTree and expressive what’s in your heart with ease. Products in this category have been rated 4.5 out of 5 based on 140 reviews.